Christmas in Portugal is a unique experience. For some people, particularly those that come from very cold parts of the world, it doesn’t feel Christmasy enough. For others, the ability to walk outside and even get a little Vitamin D is a real Christmas miracle. The more and more time I spend here, the more I look forward to Christmas in Portugal. I look forward to having a slice of Bolo Rei or a Sonho with my coffee and seeing the Christmas tree in Lisbon. It’s a beautiful time of year to come to Portugal, and to see how Christmas is celebrated here. Portugal is actually very Christmasy in its own way. One example is nativity scenes (presépios), something which you’re less and less likely to see in Northern Europe. The Portuguese love nativity scenes. You’ll find them all over Portugal around Christmas, often by the side of the road near roundabouts. 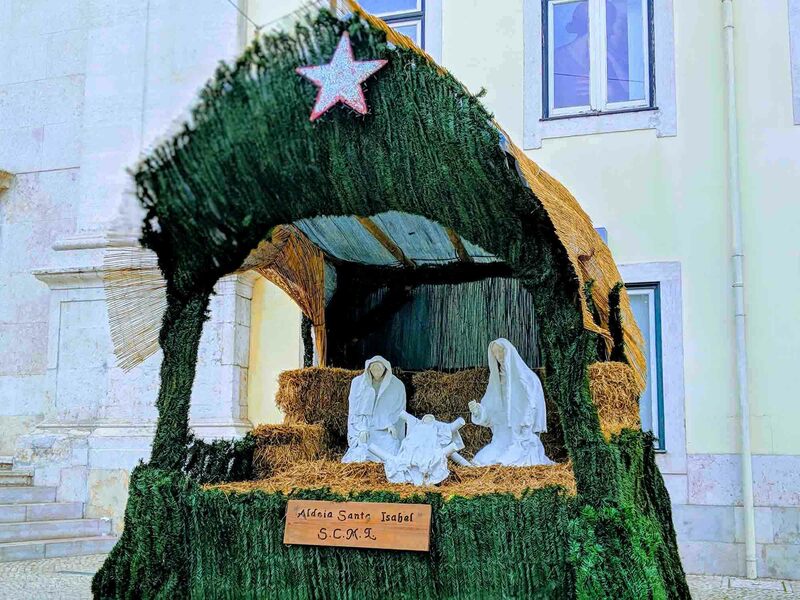 Live nativity scenes, where people dress up as characters from the Christmas story, are also incredibly popular and a feature of many towns in Portugal. 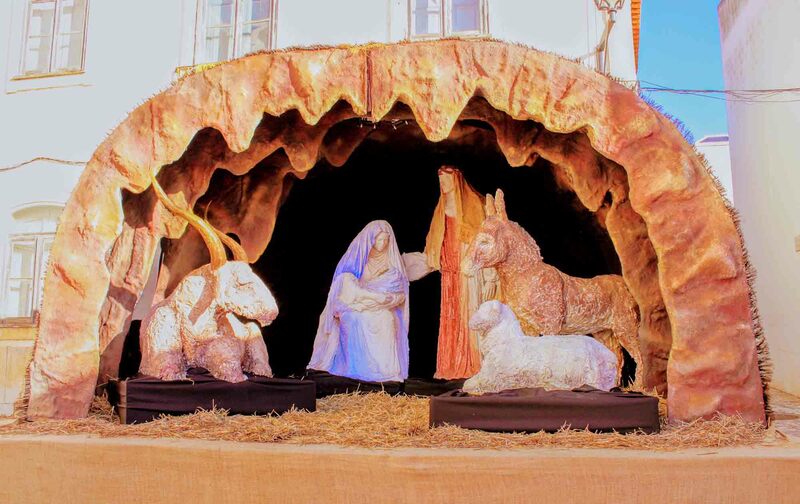 Portugal’s love for nativity scenes has even entered The Guinness of Records. In 2012, the town of São Paio de Oleiros entered the Guinness Book of Records for hosting the largest moving nativity scene in the world. The most mechanical figures in a nativity scene record also goes to a Portuguese person, this time Manuel Jacinto from Santa Maria da Feira who broke the record in 2013. Even the smaller nativity scenes that people have in their own homes are taken very seriously. Rather than just put set them up on the hall table, great effort goes into collecting moss, bark, and stones to create an authentic background. The pieces themselves are often passed down from generation to generation, and contain both religious figurines (Mary and Joseph, for example) as well as cultural figurines (farmers, for example). Christmas markets are much less of a thing in Portugal than they are in other European countries, particularly Central European countries like Germany and the Czech Republic. For a long time, the main place to go for a Christmas market was Óbidos which hosts a Christmas village every year. In recent years, however, more and more towns and cities across Portugal are putting up Christmas markets. In Lisbon, in particular, there are small Christmas markets throughout the city as well as a big one in Eduardo VII. Read more about Christmas markets in Portugal. Christmas in Portugal takes place on the eve of the 24th of December although, as a lot of it happens around midnight, it crosses over into the 25th. Shoes (as opposed to stockings) are traditionally laid out for the Baby Jesus (as opposed to Santa), and the house is decorated for Christmas. Part of this involves setting up the nativity scene, although the baby Jesus isn’t added just yet. Most families go to midnight mass (Missa do Galo), although some churches have masses that take place a little earlier. A big part of midnight mass is kissing the baby Jesus, and everyone in the congregation will queue up to do so. In some parts of Portugal, for example in Bragança, Guarda, or Castelo Branco, it’s not uncommon for there to be a large communal fire in the church car park. It gives everyone in the community a chance to gather around and wish each other a “Feliz Natal” (Merry Christmas). After that, it’s back home to see what presents the baby Jesus (or Santa) has left for everybody. The baby Jesus also gets added to the nativity scene (as he’s now officially ‘born’). Christmas dinner, or Consoada, takes place on the eve of the 24th. Portugal’s national dish, bacalhau, is probably the most traditional option for Christmas dinner, although octopus is also common in the North of Portugal and in the Algarve. As Portugal is a Catholic country, meat doesn’t feature at all. The starters are likely to be fish-based salgados like Bolinhos de Bacalhau and Rissóis de Camarão. Regardless of the Catholicism, it isn’t surprising that bacalhau is eaten at Christmas: the Portuguese love bacalhau. What’s surprising, though, is the bacalhau recipe used for Christmas: Bacalhãu de Consoada. There are more than 365 different recipes for bacalhau, and this isn’t the most popular bacalhau recipe. Made up of cabbage, boiled eggs, boiled potatoes, and bacalhau, it is very basic and non-indulgent, particularly when compared to Bacalhau com Natas – although the gallons of olive oil added usually jazz it up a little. You don’t have to have this particular bacalhau recipe, of course. There are countless others – like bacalhau com natas and bacalhau com broad – that would be more than suitable for a Christmas meal. 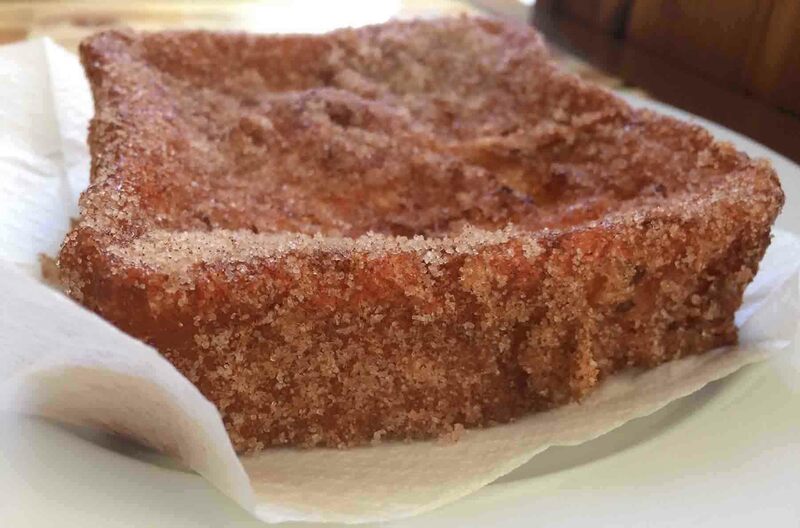 Sweets, particularly sweet pastries, are a big part of the Portuguese Christmas dinner. 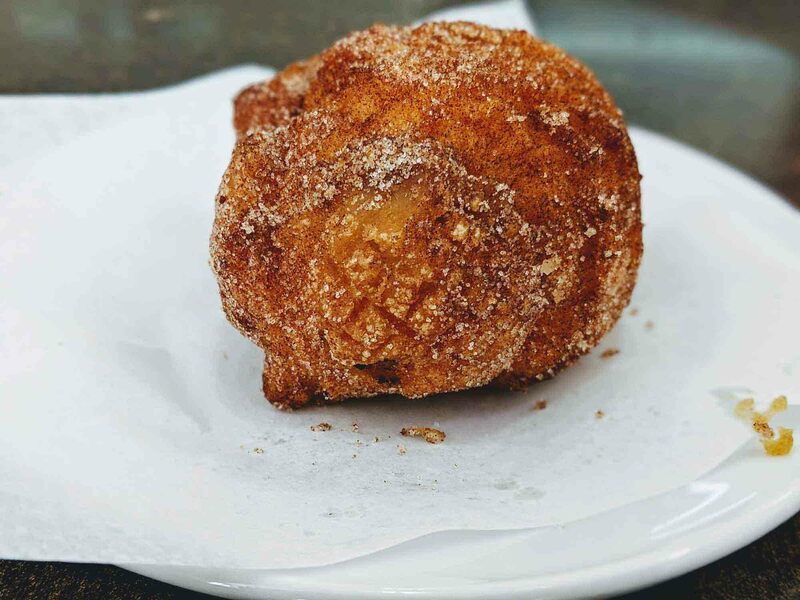 The sweets, most of which fall into the category of fried dough, are a lot more indulgent. 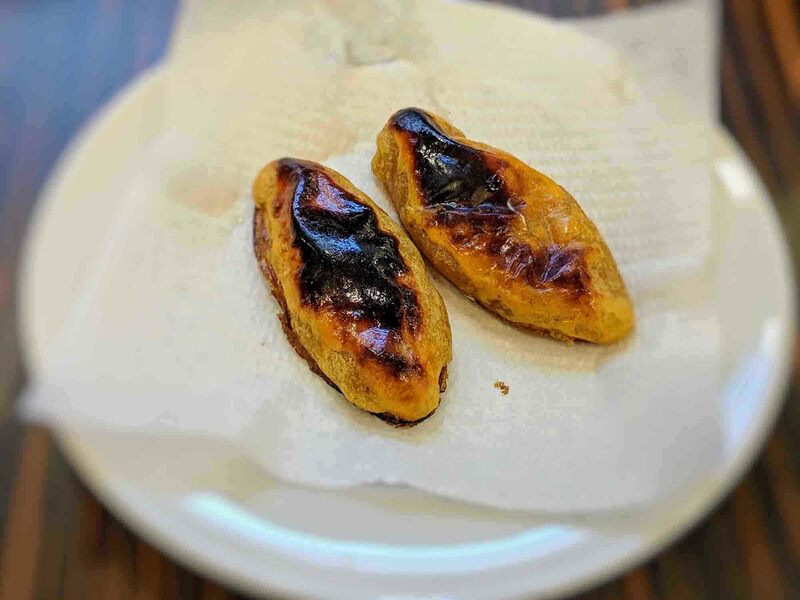 Rabanadas or fatias douradas (French toast with a wine sauce) and sonhos are both deep-fried and covered in sugar, and have a very festive feel to them, as do the azevias do grão e amendõa (fried chickpea and almond pastries), coscorões, and the filhós. There are also broas, often called broas de natal, which are oval sweet bread biscuits. These are normally made with sweet potatoes, ground almonds, eggs, sugar, and orange peel. 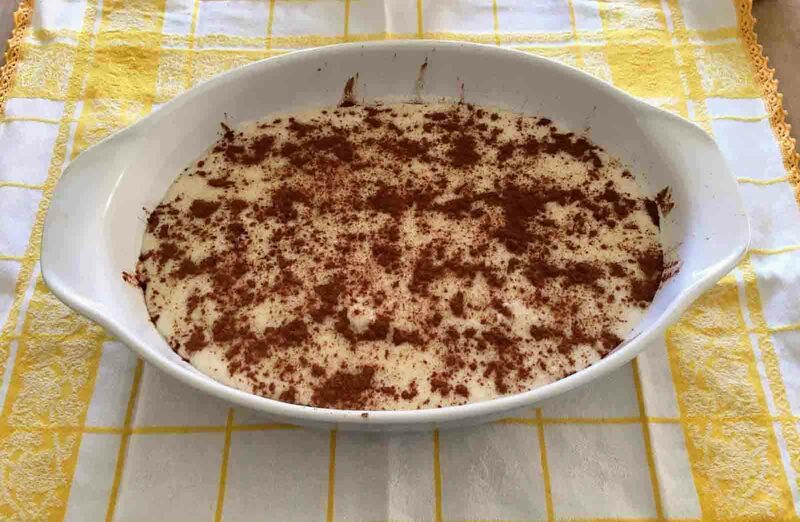 Along with these sweets, popular desserts include flan, arroz doce (rice pudding), and aletria. 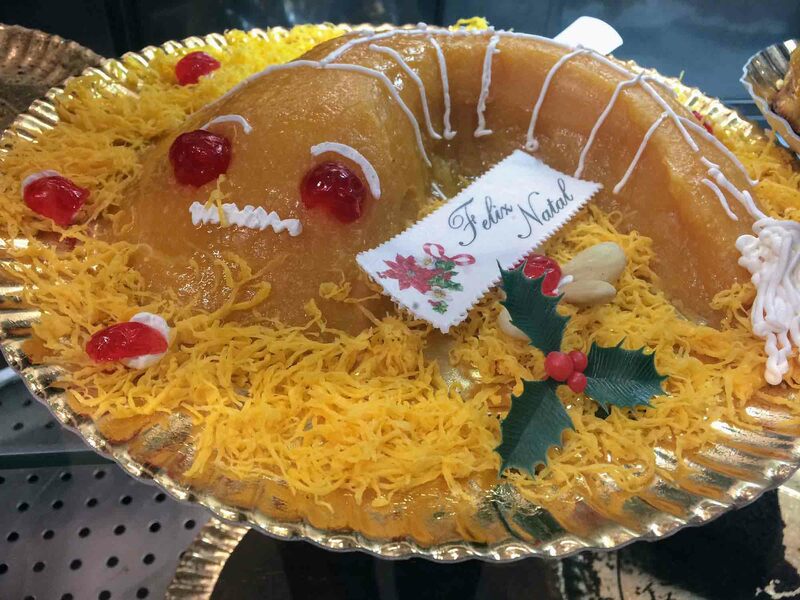 Lampreia de natal, a dessert made almost entirely of egg yolks and shaped like a lamprey fish, sometimes makes an appearance. People say it’s just for the kids, but adults love it too. 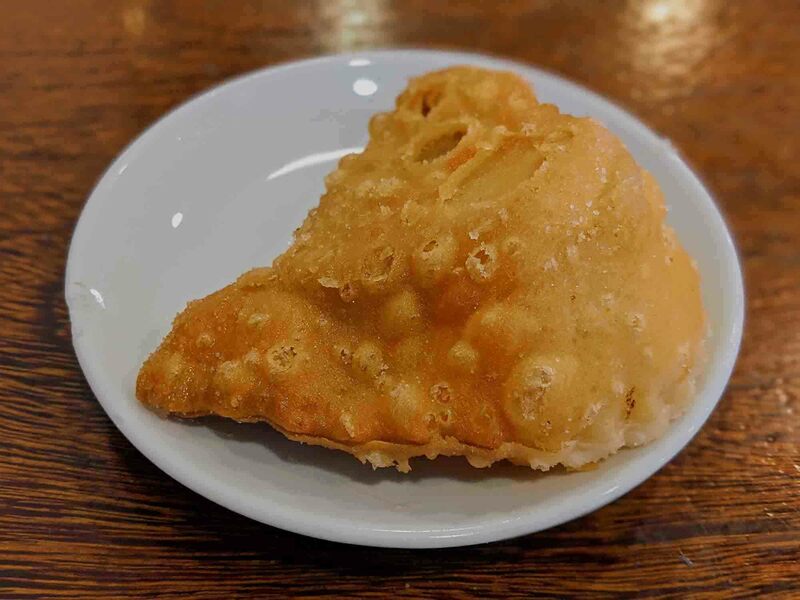 It’s definitely one of Portugal’s strangest culinary creations. 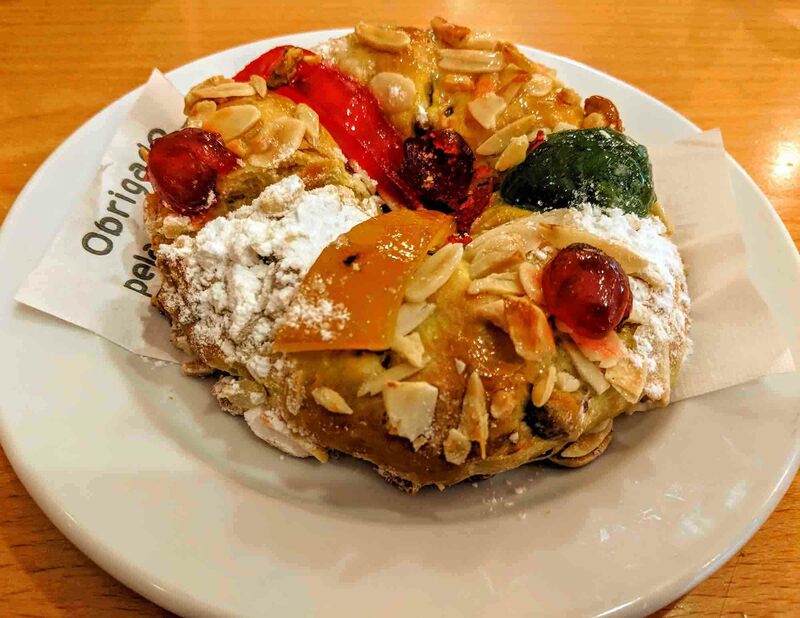 Two other cakes that you can definitely expect to see are Bolo Rei and Bolo Rainha, two bread-style fruit cakes that are made of dried fruits and nuts. Bolo Rei (king cake) also has candied fruits on the top. Bolo Rainha (Queen cake) doesn’t have the dried fruits, but makes up for it with extra nuts. These cakes are mainly eaten between Christmas and January 6th, when the three wise men arrive, but you’ll find people eating them in the weeks leading up to Christmas. The next day (December 25th), is a quieter day and most families usually have a meat dish like lamb, cabrito assado (baby goat), or even turkey. Or, there’s the option to have bacalhau again. The bacalhau eaten on the 25th is known as Roupa Velha (old clothes) and is basically a mash made from all of the leftover bacalhau consoada, usually with an egg thrown in as well. Many people who come to Portugal often don’t realise that there are so many different types of Port: vintage, tawny, ruby, white, LBV, crusted…the list goes on. As it’s Christmas, it’s a good excuse to splash out on a vintage bottle (or two) of Port. You’ll find these in every Portuguese supermarket or garrafeira (off licence), and they’re actually very affordable. Alternatively, a Late Bottled Vintage (LBV) tastes a lot like a Vintage Port but is much cheaper. As well as Port, consider adding a bottle of Ginjinha to the shopping list. 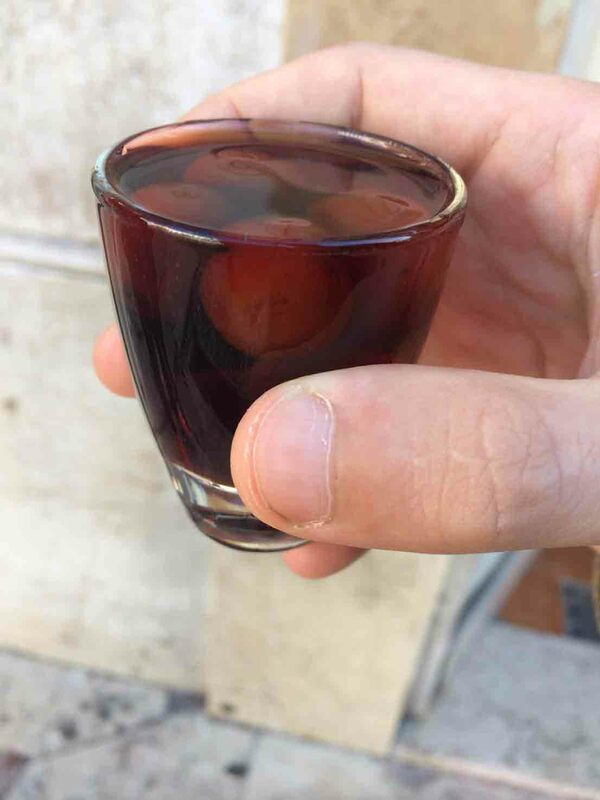 This is a Portuguese alcohol made from sour cherries that has a very Christmasy taste. If you have a sweet tooth, Amarguinha, a liquor made from almonds and tastes very like marzipan is another one to stick in the trolley. If you’re coming to Portugal for Christmas you may want to cook a Christmas meal that’s traditional to your own country. Although it hasn’t always been this way, it’s now very easy to get a lot of ingredients from overseas in Portugal. Iceland: Stock everything from mince pies to frozen Yorkshire puddings, parsnips, double cream, mince pies, and even whole turkeys. Apolónia: Great for more luxurious products and certain German products. Note: Iceland also stocks some Waitrose products as well as Iceland products. GB Superstore in Cascais: Stocks everything you could need including stuffing mix, goose fat, crackers, Christmas puddings, and mince pies. El Corte Inglés: Can be good for particularly hard-to-find ingredients like cranberries. If you’re visiting Portugal for Christmas and don’t want to cook Christmas lunch, it may be possible to go out for it. In the more touristy parts of the Algarve, some restaurants and pubs will be open. Some of these will be Portuguese restaurants, and some will be British-style restaurants. Outside of the Algarve, and the touristiest parts of Portugal, most Portuguese restaurants will be shut. Indian and Chinese restaurants often open, but it’s always a good idea to check in advance. Restaurants and bars are also likely to close up early on the 24th when everyone heads home to prepare for the Christmas dinner. Thefork.pt allows you to make restaurant reservations online, and it could be an easy way of seeing which restaurants are open on Christmas day. In comparison to other countries, like the USA and UK, buying presents in Portugal is very difficult. There just isn’t the same variety and selection, and most shops don’t have displays set up with inspirational gift ideas. Generally speaking, it’s much easier to do your shopping at home and bring the gifts out to Portugal than to traipse around the malls here racking your brain for inspiration. Christmas markets are becoming more popular in Portugal, but they’re nowhere near as popular as they are in other parts of Europe. You may find craft markets at this time of year, however, and these can be great for picking up unique Christmas gifts. 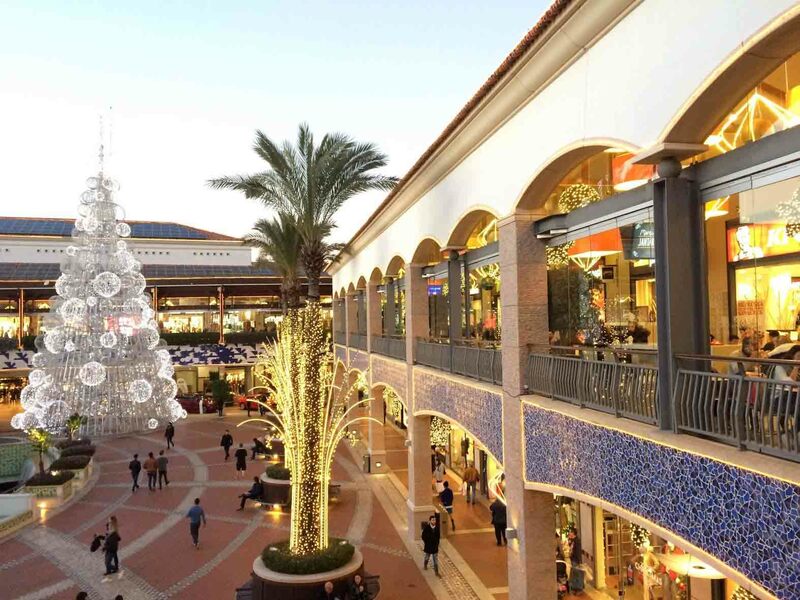 These days, more and more people do their Christmas shopping online (usually at Amazon). Amazon doesn’t have a base in Portugal, however, and so it takes about a week for orders to arrive. So, yes, you can do your online Christmas shopping here, but it’ll take longer to arrive. Everyone knows that TV can be a bit disappointing at Christmas, and this is definitely true in Portugal. It pays to be prepared, and so it’s worth either bringing out some DVDs or signing up for Netflix in advance (you can also do this on the day, either). Netflix has a decent selection of films, and more than enough to keep the family entertained for a day or two. BBC iPlayer doesn’t work abroad, and neither does 4Od. If you were relying on either of them, sign up with Netflix instead. If you’re heading to the Algarve during December, you can usually expect good weather – especially by Northern European standards. Although it can rain, and it can be windy, it’s generally sunny most of the time. Portugal is a low and narrow country, with a diverse climate, so most of the rest of Portugal is usually colder than this. Porto, for example, is much further north and usually much colder. Braga, Guimarães, and Vila Real are even further north again. In some parts of Portugal, it even snows. Yes, it’s possible to have a white Christmas in Portugal is you head towards the Serra da Estrela. You can even go skiing! Christmas officially ends on the 6th of January, although for many people in Portugal it’s back to work again on the 26th of December. Everything stops again for New Year’s Eve, or Réveillon, and most people have the 1st of January off work. In many parts of Portugal, particularly the Algarve, people sing in the New Year (a custom known as Janeiras) between January 1st and January 6th. Groups gather in the town and wander around singing, wishing people a happy new year, and asking for leftovers (or money). After the 6th, Christmas is officially over. The decorations, and the all important nativity scene, come down and are put away until the end of the year. 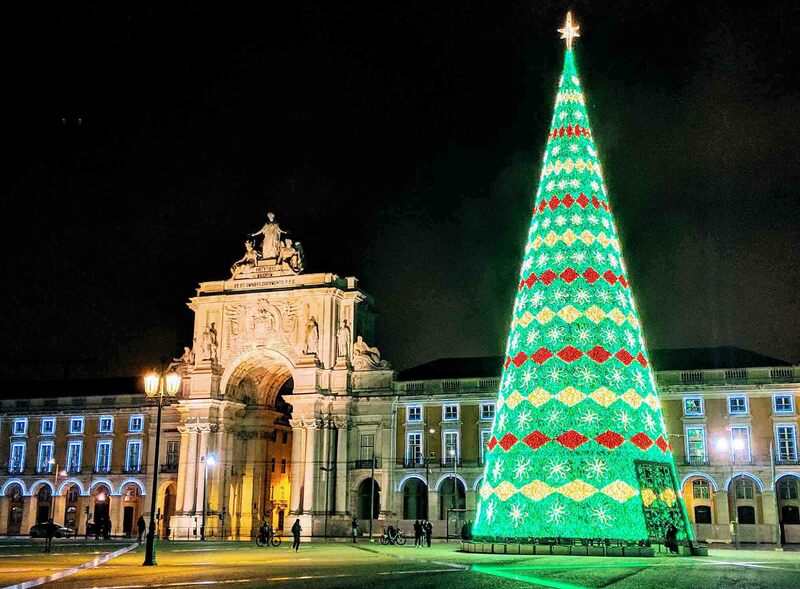 Have you celebrated Christmas in Portugal? Where did you visit? Share your experience by leaving a comment below. This year, 2017-18, we are again Celebrating Christmas here in Porgual. We have spent Christmas here 5 times now…over the many years since we first “met” Portugal on a Motorcycling Honeymoon, from the UK down through France, Spain, and Portugal again….we love it here because quite often, as you said, we can be OUTDOORS on the beach here in Lagos or nearby and enjoy the stunning beauty of the Cliffs, sand, wind-swept Marina locations or the sink-holes of Albufeira. We were hosted one year by local Portuguese Inn-Owners in Quarteira, right about the time that Villamoura was first opened. We ate fish in Albufeira, well before it exploded from being a tiny Fishing Village to what it is now, a touristy haven. We most of all Love these People, who are warm.